When you overhear conversations between other people, there are a variety of reactions that may occur. You may be disturbed, entertained, surprised, or saddened, among other feelings. Even when you have no intention of listening, it is easy to become drawn in, especially if you have an opinion about the topic, or if the topic affects you personally. While there isn't much to be done about people conversing in public or shared spaces, there are things you can do to manage what you might hear. Overhearing someone on a cell phone can be very distracting! Mostly because you pick up on the half of the conversation you can hear, and begin assuming the other half of the conversation you can't hear. You feel as if you are eavesdropping when you're really not. After all, the conversation entered your space. Whenever this happens and I become annoyed by it, someone near and dear to me always advises, "Just don't listen." Easier said than done, so if it's possible to move away from a phone conversation, I do. But when it's not, I make the best of it, sometimes giving my imagination a little exercise. If you need to take a call in a public or shared space, keep it short - and quiet. And if you can move to a more private space to take your call, the people around you will appreciate it. Open work spaces allow for much information sharing. Some of it you don't need to know, or don't want to hear. Discretion is a valuable commodity for professionals. The bottom line is, even if you don't work in an open office environment, there are likely times when you will overhear conversations or see written materials that were not meant for you. This information is not to be shared. However, if these conversations are not work related and the circumstances of your overhearing them seem to repeat themselves, it's a good idea to let the parties involved know that you hear them talking and remind them to be more discreet in a professional environment. In the grand scheme of things, we live in a free society where most people feel comfortable speaking their thoughts. While this is something to be valued, we forget that our words will enter the space of other people who may have no appreciation for them for whatever reason. Consider letting the person(s) know that you are overhearing them, if doing so wouldn't be a distraction to others. If the people talking don't know you are there, say or do something to be noticed. Try clearing your throat or coughing. Don't repeat what you heard to others. This will only light the fire of gossip. If you know someone who isn't aware she is being overheard, you can interrupt politely with a question related to another subject. In private, mention the reason you were trying to change the conversation. 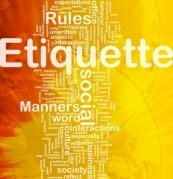 If you are at a restaurant and are bothered by someone who is talking loudly, ask your server or the manager if you can move to another table. Should You Try to Help? What is probably the hardest thing about overhearing someone talking is when there is an obvious conflict or sadness, and you wonder if you should break the boundaries of personal space and see if you can help. If you hear an argument through the walls of a hotel room and it sounds serious, or you hear someone sobbing as they’re talking on the phone, should you do anything? Should you then choose to eavesdrop for the purpose of standing ready to help someone? We always want to be available to help someone, to give an encouraging word, or to have enough information to say the right thing. This means taking risks, erring on the side of more listening rather than less. The decision to get involved in a situation like this is a very personal choice. It's also important to understand that your offer of help may be rejected. On the lighter side of life, there are times when you hear something so funny you can't keep it to yourself. Use your discretion when sharing the details of who, when, and where, but do share them. The world could use more laughter!